There have never been more ways of getting more than five people and the cargo that inevitably comes with them around than there are today. The minivan used to be the go-to vehicle for those needing to carry more than five people at once and it's still a viable option to this day. Of course, full-size SUVs have also been around for a while and they can do the job, but those wanting something a little more refined and carlike now turn in increasing numbers towards crossovers. So, if you're looking for a new family hauler and you're not sure which way to go, here's our 2017 Ford Flex vs. 2017 Chrysler Pacifica comparison that puts a top class crossover head to head with one of the market's newest minivans to see which comes out on top. There are bound to be some people out there who'll prefer the styling of a minivan over that of an SUV-style crossover, but then again, there are also some people who think the world is flat too, but not many. It's certainly fair to say the styling of the 2017 Ford Flex isn’t that of your average crossover by any means, but it's also something of a breath of fresh air in a segment overrun with homogenous designs. Chrysler has done a good job with the design of the Pacifica, and as one of the newest entries to the segment it's easily one of the most attractive of its kind. Despite the fine efforts of the FCA designers though, the Pacifica is still a minivan and that means the rectangular and uniquely crafted 2017 Ford Flex is still the winner in this part of the confrontation. The Ford starts several paces in front of the Chrysler when it comes to engine choices as the Flex has two while the Pacifica makes do with just the one. The Pacifica's engine isn't bad at all as it's the latest version of Chrysler's familiar 3.6-liter V-6 and in this application it puts out a useful 287 horsepower and 252 lb.-ft. of torque. Unfortunately for the Pacifica, even though the standard unit in the Flex is also a V-6, it's a 3.5-liter unit producing 287 horsepower and 254 lb.-ft. of torque so first blood here to the Ford. A knockout blow is delivered by the Ford though with the optional engine in the Ford Flex, which is the sensational, 3.5-liter EcoBoost turbocharged V-6 that gets you a gutsy 365 horsepower and 350 lb.-ft. of torque. The Pacifica just doesn't have an answer to that, so if you're planning to tow something fairly serious, the Flex is obviously the one to go for. There's a distinct difference here and to some degree it does come down to one being a crossover and the other a minivan. The Pacifica really is very good if you want a soft, comfortable and refined ride in a vehicle that's easy and pleasant to drive. But if you actually enjoy driving for the sake of it, the Pacifica can be a little dull despite having a perfectly good and capable powerplant. Both engines also perform well in the Flex though, and the EcoBoost unit really is a joy. But it's the clever engineering and some really magical technology in the suspension that makes you forget you're driving something as big, tall and boxy as the Flex when you're behind the wheel for any length of time. The Ford also has another feature the Pacifica can’t match, and that's the availability of all-wheel drive. The Flex is certainly no hard-core off-roader, but its all-wheel drive system is worth its weight in gold when road and weather conditions are less than ideal. 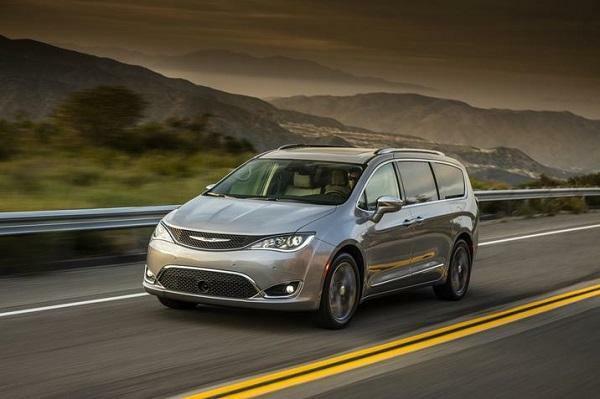 The Chrysler is great for the job it's designed to do, but it won't put a smile on the driver's face the way the Flex can and the Pacifica's lack of all-wheel drive is a disappointment. If getting up to eight people around in quite some degree of comfort is what you're all about, the 2017 Chrysler Pacifica is as good as a minivan gets right now and it's considerably better than many of its direct rivals. However, crossovers are incredibly popular for good reason and they carry a considerable amount of the responsibility for us falling out of love with minivans in the last few years, and the Flex is a very good crossover indeed. 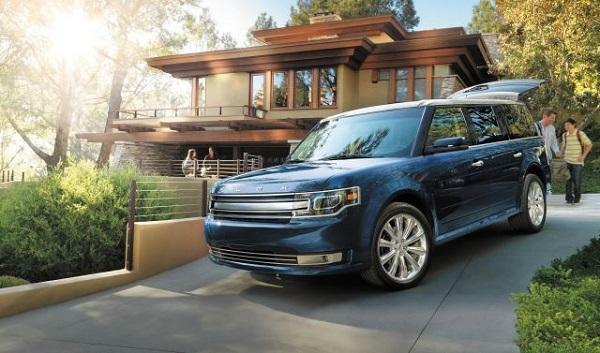 The Ford Flex looks better, it has a pair of engines that both out-perform the one in the Chrysler, and the Flex is also the one you want if driving is something you want to enjoy as well as do. If the Pacifica was considerably cheaper than the Flex it might be closer than it is here, but there's hardly anything in the pricing so the Flex is definitely the better choice.